Slice the apples into thin slices (about 1/8-inch thick). Add in the orange juice, lemon juice, maple syrup, cinnamon, nutmeg and salt and stir to coat the apples well. Pour the mixture into a 9 inch square baking dish. To prepare the crumble topping, combine all of the ingredients in a large mixing bowl and use a whisk or fork to combine into a crumbly texture. 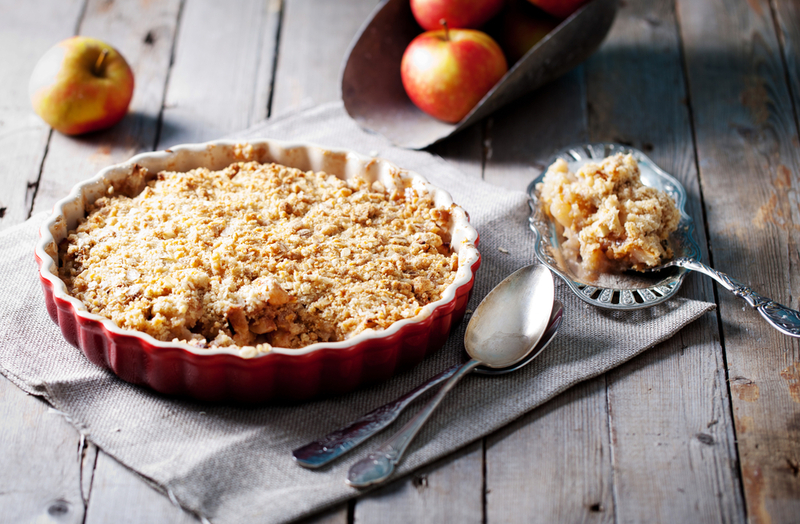 Sprinkle the topping over the apples and bake for 40 minutes or until apples are tender and crumble is lightly golden.